Professor Herman DooseProfessor Hermann Doose, whose name is entwined with Myoclonic Astatic Epilepsy otherwise known as “Doose Syndrome” passed away on April 23rd, 2018 following a brief illness. He was 90yrs old. 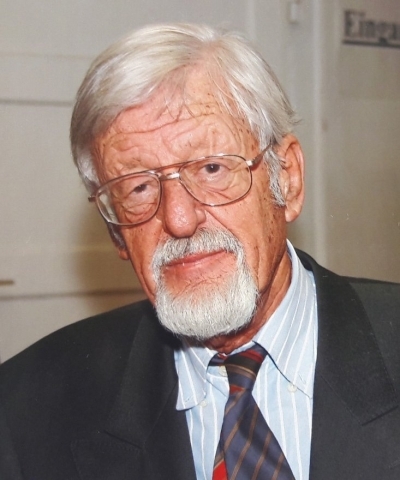 Professor Doose was a founding member of the neuropediatric society in Germany.Hermann Doose was born on September 1927 in Lübeck, North Germany. His father was a surgeon and mother a gynaecologist. At the age of 16 he was recruited to the army during the last year of the war. A subsequent injury and admission to hospital resulted in him being the lone survivor of the group. Doose studied medicine at the Christian-Albrechts-University Kiel and the Albert-Ludwigs-University Freiburg where he studied physiology and pathology and then completed a training in pediatrics at the University of Kiel. From 1975 to 1992, Doose was director of the Clinic for Neuropediatrics in Kiel and at the same time the medical director of the North German Epilepsy Center for Children and Adolescents in Raisdorf near Kiel, which was opened on his initiative in 1972. There he headed an epilepsy research center since 1992. The first EEG laboratory in Kiel was founded by him and his 1963 professorial thesis was on the “Spectrum of Petit-Mal Epilepsies in Childhood”. Professor Doose was head of the Department of Paediatric Neurology in Kiel, form 1975 until his retirement in 1992. In 1972 he founded the North German Epilepsy Centre. He was a physician of great empathy and until the last weeks before his death he continuously received letters and phone calls from his patients. He was a great teacher and had inspired many young doctors to pursue paediatric neurology and epileptology. During his career he authored many papers, books and book chapters.He described for the first time several epilepsy forms of childhood and adolescence including juvenile absence epilepsy (1965), myoclonic-astatic epilepsy or Doose syndrome (1970), infantile absence epilepsy (1994) and infantile Grand-Mal epilepsy (1998) now known as Dravet syndrome. His 1967 first self-published textbook epilepsy in childhood and adolescence was long considered a standard work in German-speaking countries. It was last reissued in 1998 and is continued since 2012 by Bernd Neubauer and Andreas Hahn under the title Doose epilepsy in childhood and adolescence which is now in its 13th edition. In 1973 he co-authored an epilepsy memorandum of the Deutsche Forschungsgemeinschaft and in the 1970s co-published several congressional and conference reports. Following the co-edition of a book on the genetics of epilepsy he worked on an EEG textbook for children and adolescents including an English language edition which was his last work. Professor Doose was President of the German chapter of the ILAE and the Society of Neuropediatrics and in his career won several prizes including the Michael prize in 1963, the Hans Berger Prize of the German EEG Society (since 1996: German Society for Clinical Neurophysiology and Functional Imaging, DGKN) in 1985, Honorary Membership German Society for Epileptology (DGfE) (1994) and the Otfrid Foerster Medal German Society for Epileptology (DGfE) in 2004. The ILAE named him the “Ambassador for Epilepsy” in 1975 and in 1974 he founded the charity “Hilfe für das anfallskranke Kind [Help for the sick child]” to raise funds for research on childhood epilepsies. He will be remembered as a great scientist, physician and teacher by his colleagues, patients and friends.